Razer recently announced its Softminer software that is essentially a cryptocurrency miner. The only difference with your regular miner is, this one doesn’t actually specify which one it’s mining for, since the payout that you actually get is Razer Silver. According to the FAQ, Razer says that you can earn 500 Silver or more in a day, with the proper setup. But it’s also important to remember that Silver expires a year after they are earned. Have a gaming rig on idle at home? 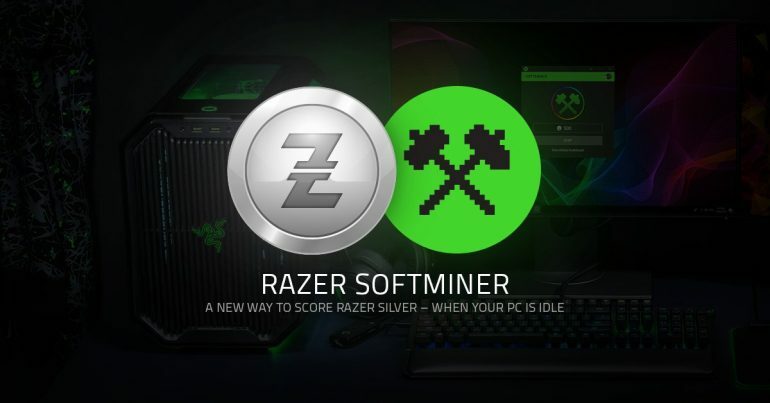 Here's a new way to score Razer Silver: launch Razer SoftMiner on your PC and start racking up Silver—one step closer to the reward you want, for doing nothing at all. With that, let’s take a look at something that can be bought using Silver, such as the Razer BlackWidow Ultimate. This costs 154000 Silver, or RM549 on the Razer online store. If you were to earn 500 Silver as advertised, it would still mean that you’ll have to wait for 308 days of mining. Like any cryptocurrency miner, using this will result in a spike in your electricity bill, since you’re constantly taxing your GPU. You’ll then have to weigh in on whether or not you’ll be paying less if you paid for the keyboard outright, or if you mine for 308 days for the Silver required to redeem it for free. Then you have the more expensive items like the Huntsman Elite, which costs 280000 Silver or RM949. This will take 560 days to mine for, but you’ll start losing Silver to expiration after 365 days.